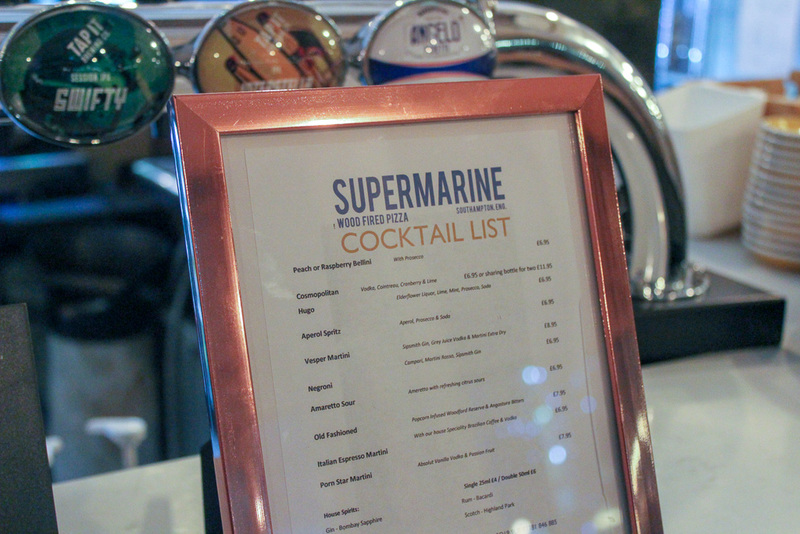 Supermarine can be found within Centenary Quay which is the new development built upon an area steeped in history. The name, Supermarine comes from the company that built seaplanes in Woolston, these were then further developed to create the Supermarine Spitfire which played an important part in the Battle of Britain. The restaurant displays a collection of old photos and memories from this time which mixes in with the modern interior perfectly. We started the evening with crisp wine and delicious cocktails before being introduced to the menu. 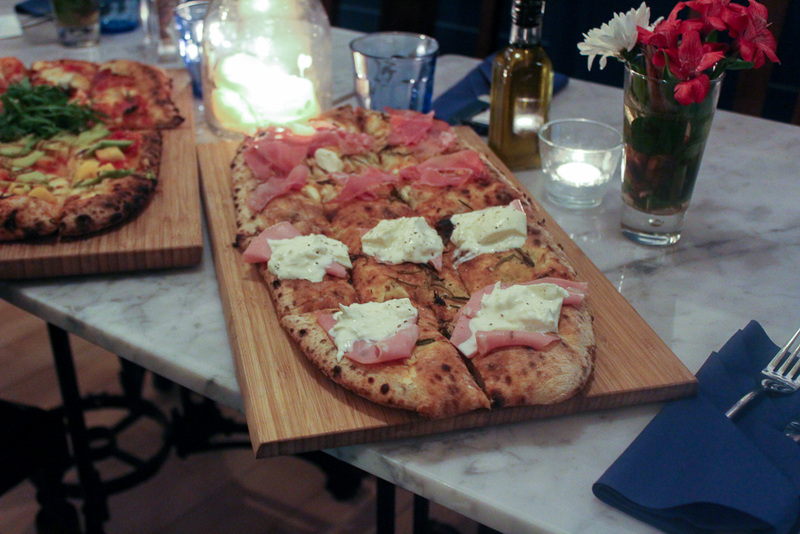 The menu has changed in recent months, focusing more on flavours and of course, their wood fired pizzas which are out of this world. 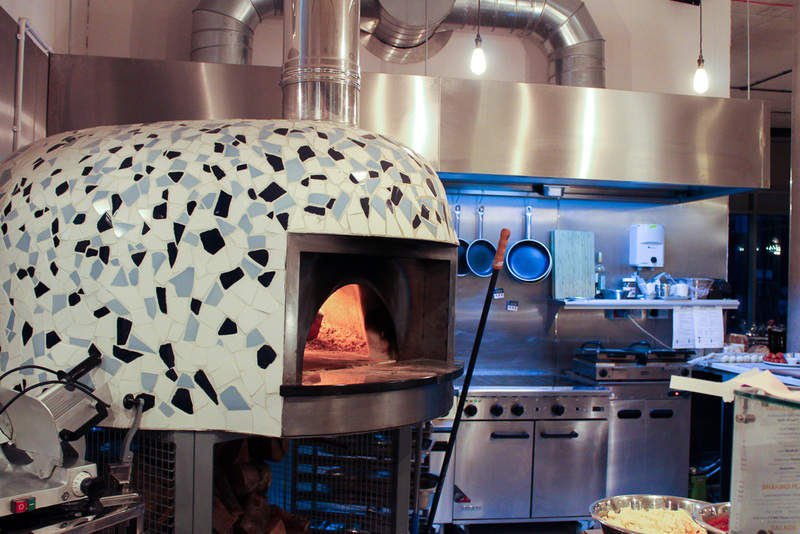 The pizzas are made fresh to order and created in front of your eyes before being cooked in the wood fire oven which is beautiful, for an oven. 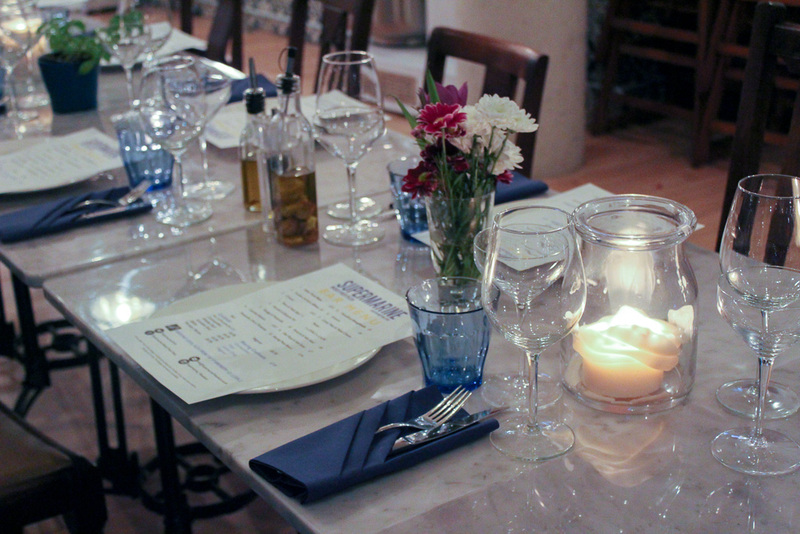 It's adorned in blue tiles and is a real centre point for the restaurant. We tried a selection of starters, delicious cured meat wrapped around bread sticks, mozzarella and juicy tomatoes drizzled with balsamic vinegar as well as bruschetta with a variety of toppings such as avocado, lamb meatballs & cheese and pesto drizzled with olive oil. 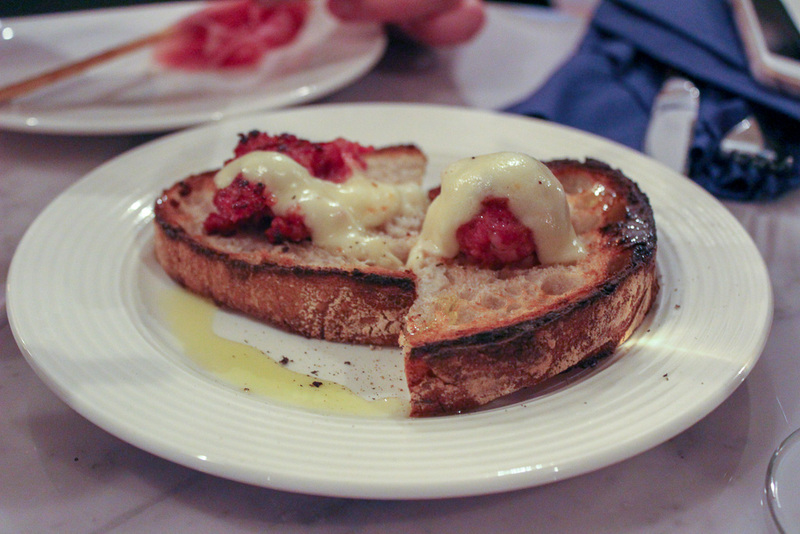 Each dish was as delectable as the next and would make a great tapas style dinner in the summer time. 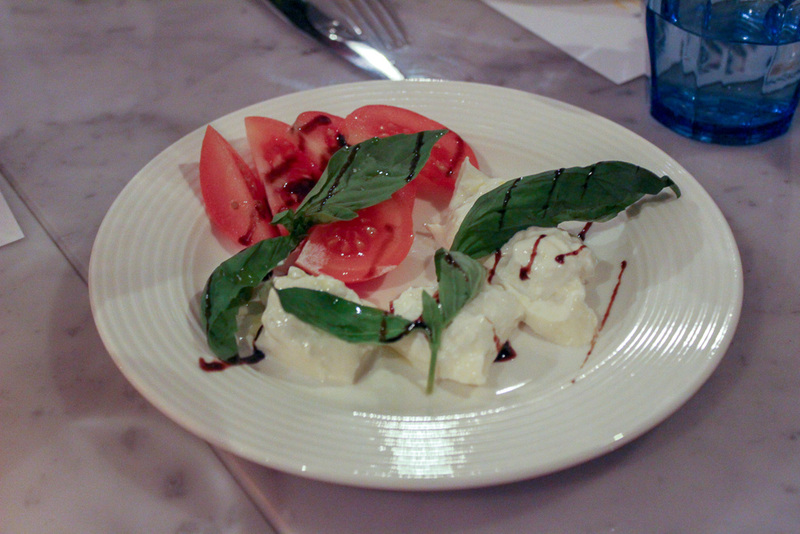 I'm still thinking about the mozzarella. There were also vegetarian and vegan options laid on for some of the group which meant no one was left out, if you view their menu online there's a handy guide to see who can have what. I wish more restaurants took this into consideration. After making our way through the starters and topping up our drinks it was time for what we were all waiting for, pizza. 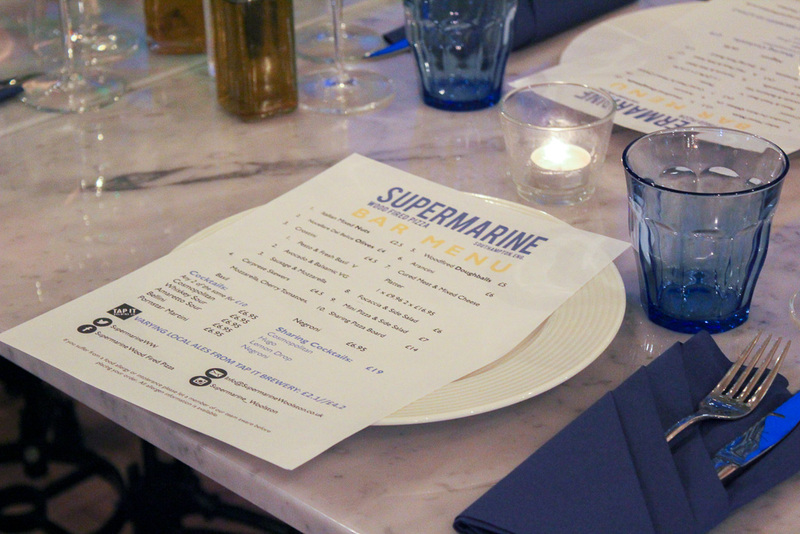 The Supermarine pizza menu is impressive with fifteen to choose from as well as vegetarian and vegan options starting from a very affordable £8. 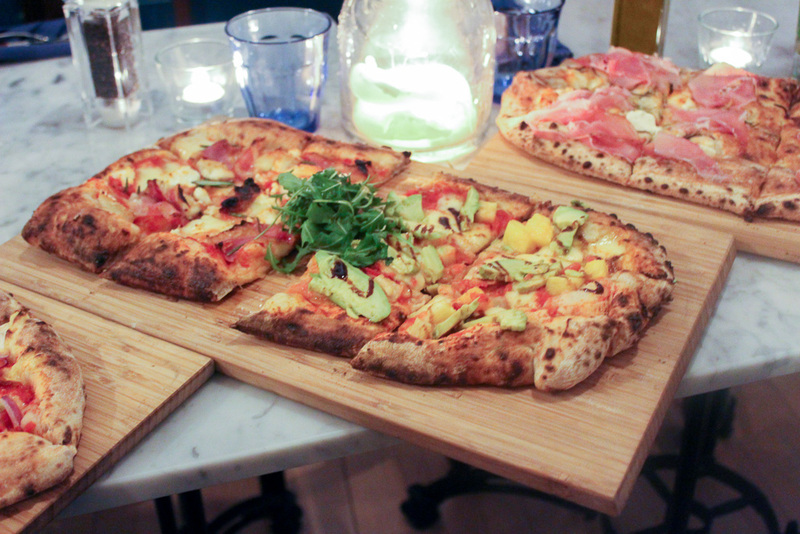 There was so much choice that we had a variety of pizzas brought out to us. The dough was some of the best I've tried, fluffy, light and not too heavy which is something that always puts me off with some pizzas, I don't like anything too heavy. The toppings? WOW. The spicy salami was my favourite. After we stuffed in as much pizza as was possible, we started on dessert. Nutella Pizza? Yes please. It didn't disappoint and nor did the Salted Caramel Tart I managed to tuck away for myself. The atmosphere all evening was warm and friendly. There is just something about bringing people together over food which I love. Whatever way you looked down the table there were people laughing and it was so lovely to see such a mix of people together all there for the love of blogging, meeting new people and of course food. 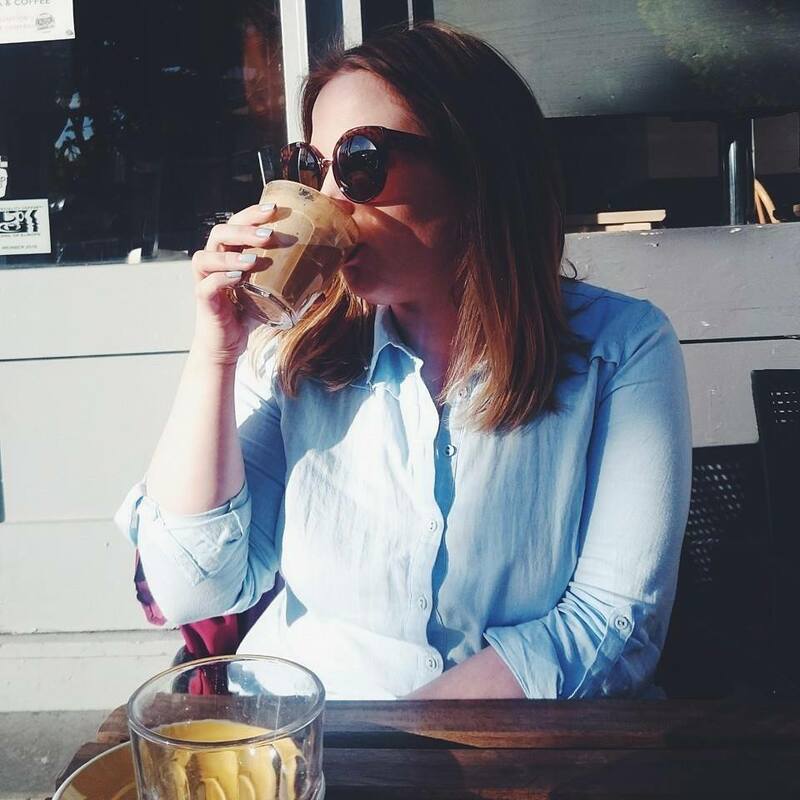 Supermarine is really local to me so I can definitely see it becoming the ideal place to meet with friends, take a leisurely dinner with Arran in the summer and of course introduce Joshua to delicious pizza when the time comes. Complimentary meal for the purpose of review & event with Southampton Bloggers. Wow - everything looks delicious!! Good to see some vegan options available too. Those pizzas look incredible! So so good! I love finding places like this to try out and eat at locally! So good! This all looks incredible and it’s makes me so hungry for pizza! Those pizzas look delicious! I love a good wood oven pizza! Those pizza’s look so delicious! I need to take a trip to southampton soon!